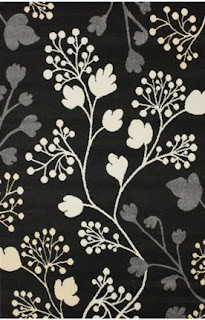 One of my latest obsession (there are many) is Rugs USA. I’m not sure if it’s the massive amount of rug options or the fact that they have such modern rugs to choose from. Whatever the case, I am in love with this website. 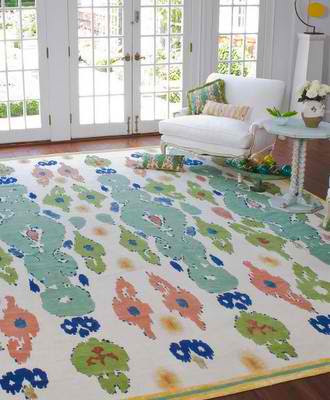 Of course being the bargain shopper that I am, it could also be the large selection of 75% off rugs that has lured me in. Here's a look at my top 5 picks. 1. This modern dark teal/ivory leopard print rug retails for $528 in a 4 X 6. At 75% off ($132) is a steal for this plush option. The reviewers rave about it. Added to a black and white scheme = Perfection! 2. 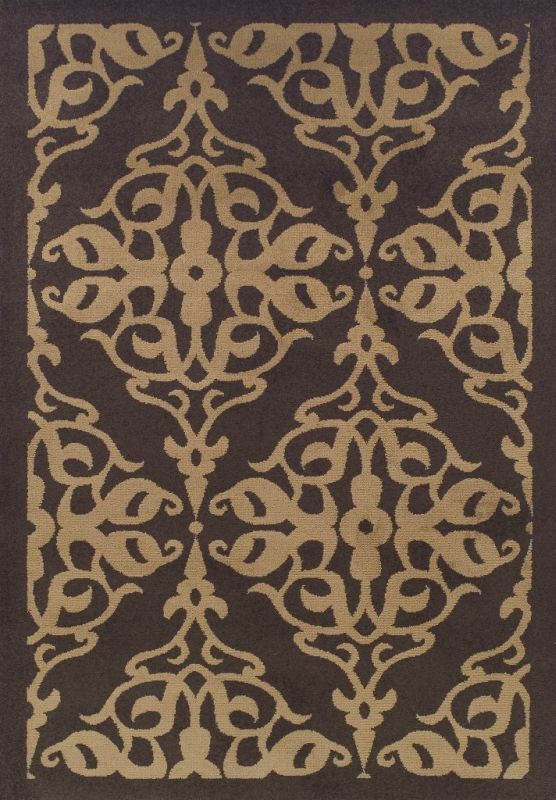 We all know how much I love damask. 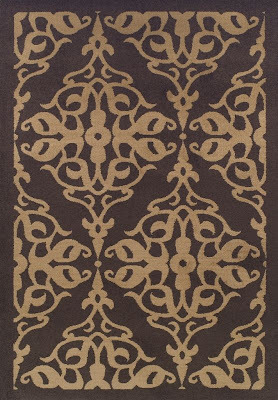 This brown damask rug regularly priced at $237.00, now $59.25 (still available in a 5 X 7 ½ ft) is no exception. 3. I can't seem to let this one go either. Black and White zebra rugs are very popular right now. If only I could find a place to put one. This is available in a 6' round (very hard to find) for only $144.00 down from $576! 4. I'm loving this 5 X 7 black and white floral for $188! 5. Well, what can I say about Ikat? 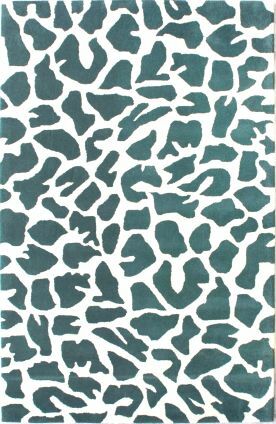 Not surprisingly one of the more expensive of the rugs I like but at $188 still not a bad deal for such a popular print. So, here’s the deal. It’s giveaway day and I’d like to gift you with a $75.00 voucher to Rugs USA. As you can see, that can go a long way. So, I’m sure you’re thinking? How do I win? So glad you asked. I’m looking to expand my audience and I need your help. I’ve received some great feedback since launching the site and now I need you to tell ALL of your friends. Really tell them. Ok, I need you to get them to sign up. So, the $75 voucher goes to the reader who can round-up the MOST new Dwell by Cheryl subscribers (not Facebook, Twitter, Pinterest, Instagram and Houzz followers- those are just a bonus). On Monday night, I will total the comment credits and announce the winner next week. 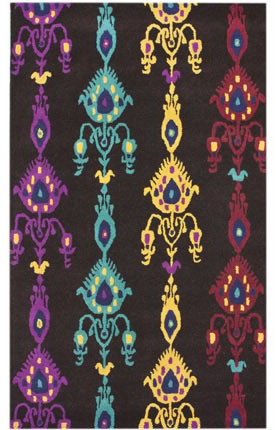 Did I mention that there was no shipping on Rugs USA and that there is no tax outside of NY? Check it out and round up your friends. Good luck! Cheryl, I love your post!!! I am inspired each time I read them. 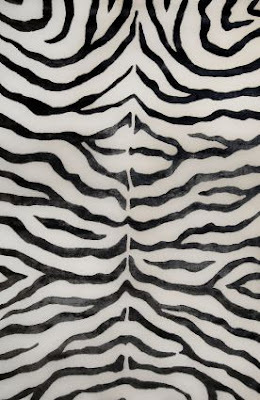 As of now, the zebra print is my favorite. I have an entire room dedicated to the "wild life". Keep them coming!!! Welcome Missy and Thanks Kim! Cheryl, I love these blogs! I am decorating my new apartment and am using so many tips! Thanks Sonia! I just signed up and was referred by Brittany Lewis. Love your blog! I was referred by your sister Charri. Love the site!! I have heard so much about it from my daughter Brittany Lewis. I am so glad I am finally following it! Enjoy the blog. Thanks Brittany Lewis for referring me. I signed up and was referred by Amy Hickman. I was referred by Amy Hickman! I just signed up and was referred by Amy Hickman! I am posting here and on your days comments....not sure where i was supposed to comment. Thanks to Brittany Lewis for referring me!! I have joined your blog and was referred by Brittany Lewis. This blog is great! Thank you so much to Brittany Lewis for referring me! My older sister Brittany Lewis referred me to this site. You have some pretty neat stuff on here. Hope she wins this rug! 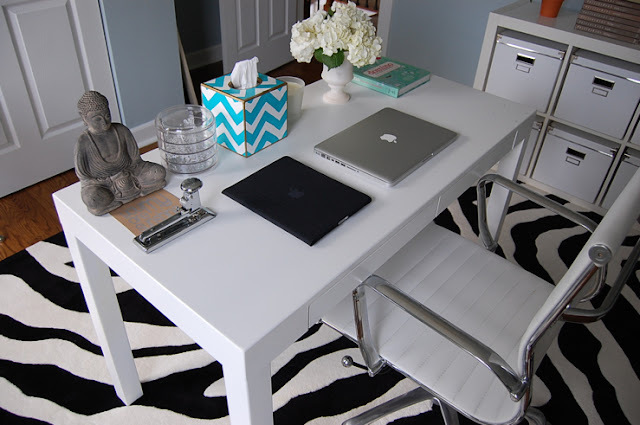 Cheryl your blog has given me so many ideas for my decorating my apartment! Love, love, love it! My friend Brittany Lewis referred me to your site.